Come listen to The Duo as they do a much more personal episode. How theme parks were in their lives growing up, how it impacted them, how they met and eventually got married! It’s a whirl wind of stories this episode, but not short of theme park news. We hit the Theme Park Bulletin with the news of Wonder Woman Golden Lasso Coaster announcement from Six Flags! The worlds first single rail coaster coming out of RMC (Rocky Mountain Construction) and debuting at Six Flags Fiesta Texas. 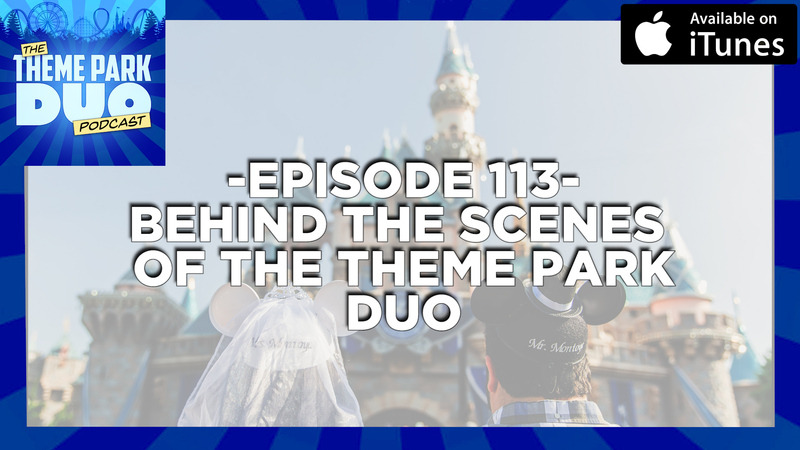 We also talk about the drastic changes to Fantasmic, the re-opening of The Rivers of America, Disneyland Railroad and many other smaller attractions at Disneyland California, and lastly cover the teasing Knott’s has been doing over the past weeks about their major announcement coming up on the new attraction coming to Boardwalk. Lastly we hit everyone’s favorite complaining segment, Park Peeves! Do You Want To Play A Game? SAW comes to Halloween Horror Nights!